We are dog lovers who like to offer a home from home experience. All their pampering needs will be met. 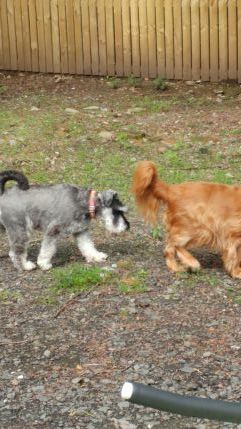 Your dog will meet our own 2 resident Lhasa Apsos. We do our best to ensure your pups are relaxed and settled and enjoy their doggy hollibobs. Dogs have all day access to our large dog friendly garden and are walked in the surrounding countryside.